by Shukyn, Murray, Shuttleworth, Dale E.
Shukyn, Murray, Shuttleworth, Dale E.
Murray Shukyn designs programs and teaching materials to assist people in GED preparation. 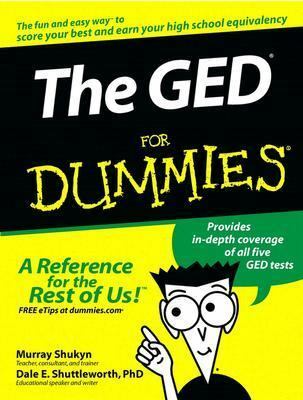 Dale E. Shuttleworth, PhD, has extensive experience in speaking and writing about educational issues and in GED training.Shukyn, Murray is the author of 'Ged for Dummies' with ISBN 9780764554704 and ISBN 0764554700. Loading marketplace prices 5 copies from $12.82 How does the rental process work?